I went out on Tuesday with a plan to explore a bit of Sodermalm - my neighborhood. Just few minutes away from my flat I found this little fellow! 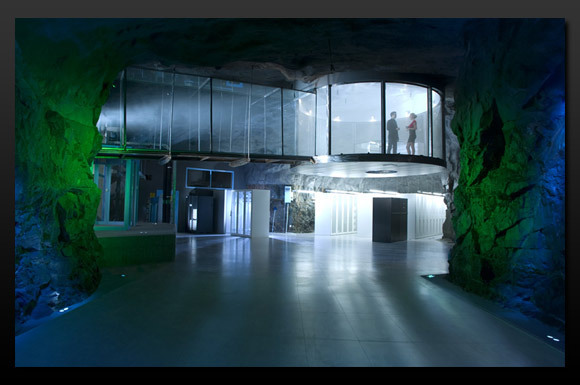 It is a data center, that was a nuclear bunker in 1943! You can find more pictures of inside, from Google, below. 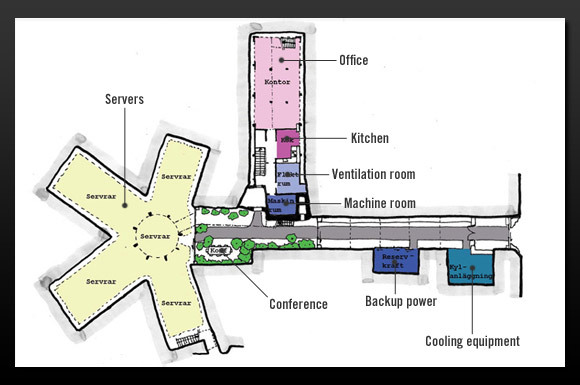 - The data center is housed in what was originally a military bunker and nuclear shelter during the Cold War era. The facility still has the code name from its military days: Pionen White Mountains. 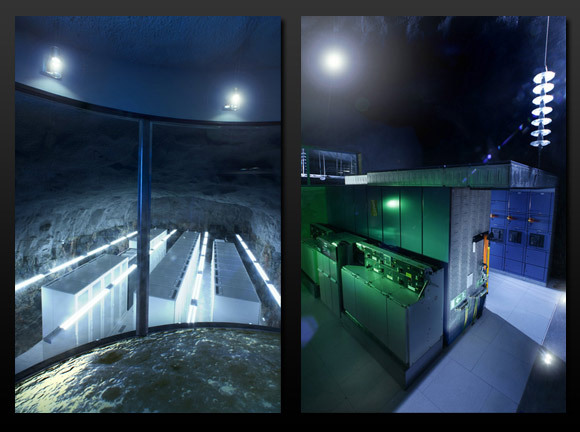 - The bunker was designed to be able to withstand a near hit by a hydrogen bomb. - Backup power is handled by two Maybach MTU diesel engines producing 1.5 Megawatt of power. The engines were originally designed for submarines, and just for fun the people at Pionen have also installed the warning system (sound horns) from the original German submarine. 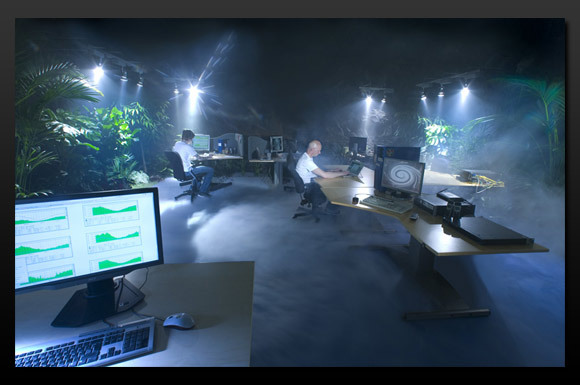 - For a pleasant working environment the data center has simulated daylight, greenhouses, waterfalls and a huge 2600-liter salt water fish tank. Wend down Renstiernas Street leading to the edge of the island. The view was stunning. 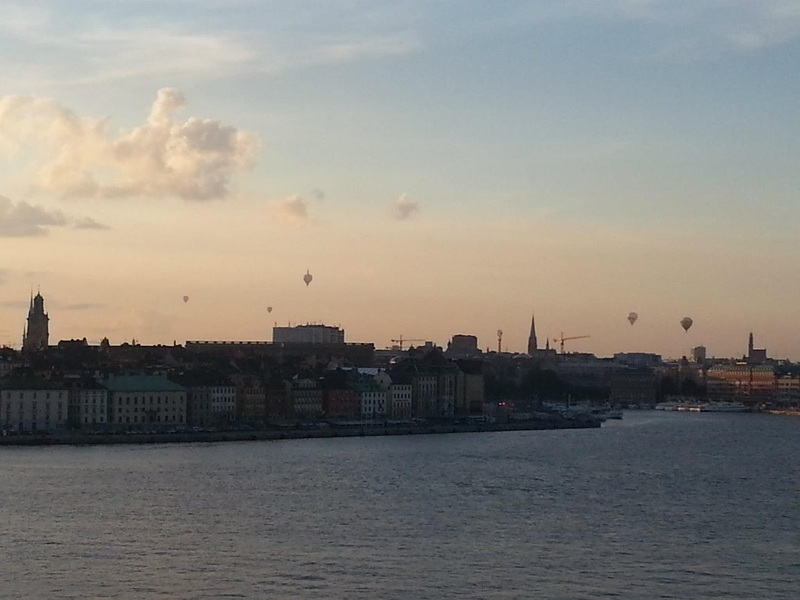 Cloudy Stockholm is beautiful! Took some pictures from the bank! It started to rain so heavily I had to run to the nearest bust stop, that didn't help much so I jumped on the next bus. Having travel pass for a week is very helpful, I can use metro, buses, trains and so on with no limits! I went all the way up to Ropsten Station, took some time :) But it was dry and I got to see parts of Stockholm I wouldn't normally go to!